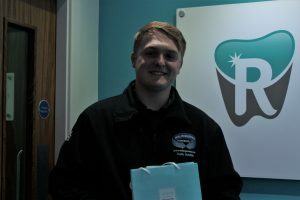 At Christmas we held a competition to win a free teeth whitening session worth £345. To win you had to leave a review on social media. The lucky winner was Curtis Schofield who left a review on Facebook. Well done Curtis, got to be in it to win it!